This is Scott Hyde hard at work !!!! The Hydes basement showroom will be opening soon and we will be displaying a new range of handmade furniture. 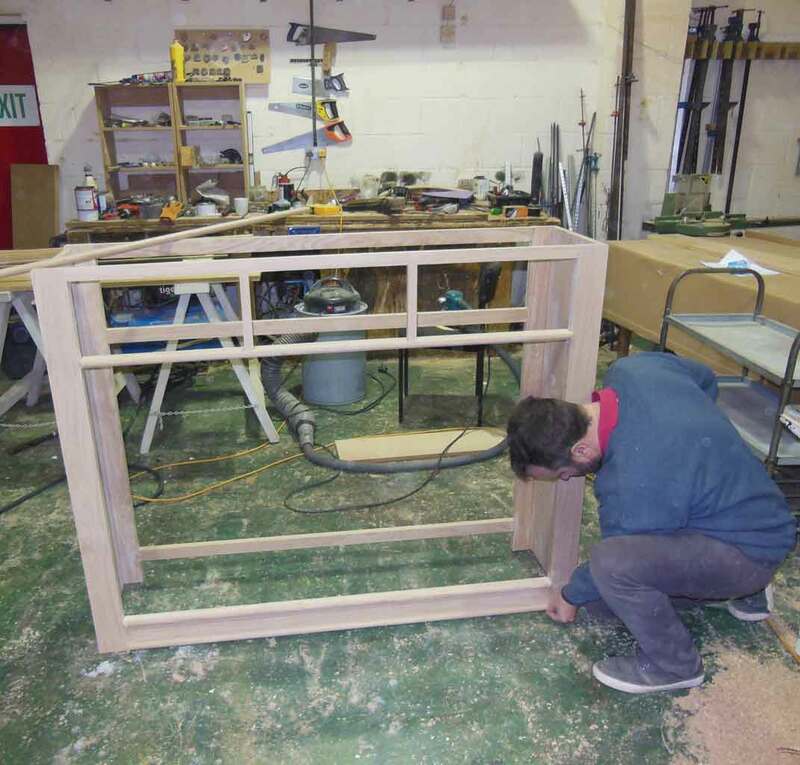 This picture shows Scott Hyde making a rustic oak low bookcase which will be on show soon.